Transporting dogs is never an easy task as they keep on running around your car excitedly. This puts both the dog and your family in danger. In case a minor accident occurs, dogs will panic, and this makes them an untrustworthy partner on the road. A loose dog in your car will also cause a lot of inconveniences. She will destroy the car seats, put her nose into your groceries and interfere with your concentration on the road. If you would like to ensure that your pet remains safe, you will need to buy a dog car seat, and we are here to help you select the best dog car seat that is just the right fit for you. Give small dogs their own secure car lookout seat. Designed for dogs up to 30 pounds, the Kurgo Skybox Dog Booster Seat features metal supports for structural integrity and a waterproof exterior. Give your dog a better view. Keep their hair all in 1 spot. Our dog car seat makes dogs feel safe plus comfortable while slightly boosting them up from the car seat giving them a better view while driving. With the Snoozer Lookout I Pet Car Seats you can give your pet the perfect place to ride while on the move. Made with a simulated lamb's wool interior the Lookout I dog car seat is sure to provide a cozy and safe place for your pet while in your car. The K&H Booster Bucket seat elevates your pet and fits either the front or back seat. The back of the Booster Bucket is contoured for a better fit inside the vehicle. The inside of the Booster Bucket is made of quilted, soft fleece and the 3-inch foam cushion. Statistics from the NHTSA show that at least 50% of all fatal crashes were as a result of some kind of distractions. To make the matter worse, at least 25% of all pet owners have used their hands to hold a pet when applying brakes. Another 19% have used their arms or hands to prevent their pets from climbing into the front seat of the car when driving. These two behaviors will require the driver to take off their hands from the steering wheel, and this that has been noted to cause a shifting of the lane position of the vehicle. Shifting can also cause the car to drift into the adjacent lanes. The use of the booster car seat can help to minimize these kinds of distractions. Other statistics from the NHTSA shows that older drivers who drove with their pets had a nearly double rate of collision as those who never drove with their pet. The studies also show that many older drivers are less likely to use the pet restraint. A survey conducted on drivers showed that interaction with pets was among the most distractive behaviors that caused an accident. In most cases, this is because the dog will start to bark onto something that you cannot see, she wants to be petted or is fighting for your attention. 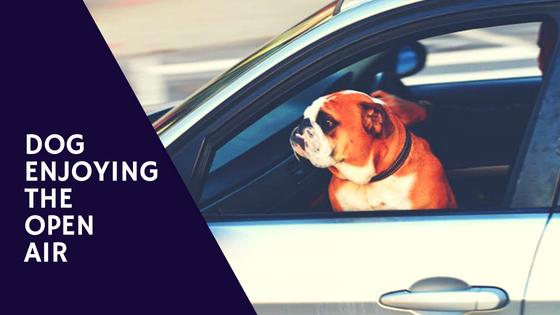 You may think that it is fun to leave your canine roaming around your car or to stick its head out of the car’s window; you need to know that she can easily get harmed by a sudden turn or stop. With a well-designed strap, it is possible to keep your dog in a stable position. If you will need to drive and at the same time focuses on managing the movement of the dog, you will quickly get distracted. It is unsafe to remove your hands on the wheel as to handle the dog. With a good belt for your dog, it is possible to get rid of this challenge and focus on the road with ease. Many dogs get distracted during the car rides. This can be shown by their pacing back, panting back & forth and even whining. When the dog is in a pet carrier, this provides them with the physical sense of security and safety for the dog. In case your dog is like many others, she will love to look out the window to enjoy the outdoors. In most cases, small dogs have a hard time trying to catch a good glimpse of the outdoors. Many people associate car seats with babies rather than dogs. First, they are a bit different from the baby car seats. In fact, they look more or less like the dog beds. One of the similarities is that they have been designed to provide the same benefits that are offered by the baby seats. It is worth noting that car dog seats do not protect the dog in case of an accident like it is the case with the human car seat. To achieve dog safety, you will need to buy a special dog crate that is designed for travel. The goal of a dog car seat is to keep the dog more stable and secure as compared to when he is left to roam around your car. The car seats for dogs are attached to the regular car seats and comprise from harnesses that makes it possible to strap the dog in place. These consist of a base that is more soft and comfortable and is surrounded by the higher walls that hinder the pet from jumping out. Many car seats have a lot of room, and this means that the dog doesn't have to sit in one position for the entire time. They are also small enough that the dog is hindered from moving around and thus hurting itself. There are several features that you need to look for when searching for a car seat for your dog. Safety features. If a dog car booster seat is not safe enough, then it is not worth your money. It is crucial to look out for a car seat that can attach securely to the car seat and is able to handle the dog in place tightly. Therefore, choose a dog car booster that easily attaches to the seat of the car and can hold the dog will in place. Many of the high-quality models use the seat belts that are built-in to keep the car seat secure. The dog car seat should be easy to use so that you can set it up every time the dog is riding in the car. It should also be easy to bring down the car seat. While this may seem like an obvious factor, it is a crucial element when you are buying the right seat size for the dog. The smaller dogs will tend to appreciate the booster seats that have a bucket style as they allow them to look out the window. However, for the bigger dogs, a key issue is stability and comfort. Most of the dogs will love the car booster if these come with comfortable padding. Make sure that the dog belt is made of a durable material that can be cleaned easily and are resistant to wear & tear. Some car seats are suitable for the smaller canines, and these can also double as the carrying bags, which makes them out to be a better option for the regular travelers. Extra features. Apart from the key points listed above, various dog seat belts come with a lot of bonus features such as extra storage and compartments that are suitable for doggy bags and treats. 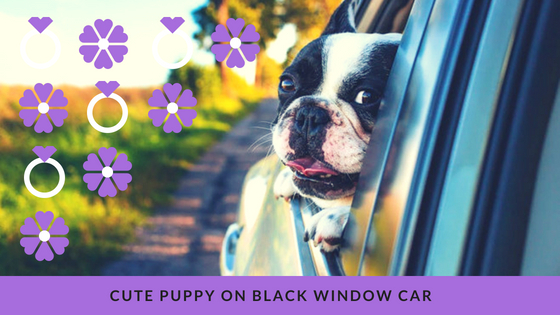 You will need to determine whether you will want your dog to remain in the car’s back seat, which is good for the sake of convenience or at the front seat where you are able to keep your eye on it. There are specific car seats that have been designed to fit well onto the console to enable your dog to be directly next to you during travel. One thing you will need to remember is that it is more dangerous for the pet to ride in the front seat in case of a road accident. As you tether your best friend to her new car seat, ensure that you attach her harness instead of the collar. The tension on the collar of your dog can lead to accidental choking and this is rather unsafe. Finding and setting up the dog harness is just one of the parts in the battle. If you want a worthwhile purchase, you will need to ensure that the dog is willing to use the hammock consistently. You can do this by gradually increasing the time that the dog will be spending on that seat. This way, she will not associate the hammock with the dreadful car rides. If she is hesitant to ride in the seat, you can start by using the car seat for dogs while it is in a neutral setting. If you are searching for a dog car seat and you are unsure of which one to buy, here are the top choices that we would recommend. This seat is favored by most users. The reason for this is that it is from the line of functional and fashionable products from the company. The seat of the booster is easy to setup and is available with 2 sets of back straps and a headrest strap. The first is for wrapping around the back of your seat while the second one wraps around the seat’s back. Both of these sets ensure that your dog remains in place as you roll down the highway. Another feature that I loved in the Skybox is that it has a harness that easily loops around your seatbelt, pulling through the slide at the seat’s back. This tether is a good choice for preventing your dog from moving around during the ride. This is despite the fact that it offers some room for maneuvering. You will even have an option of purchasing the Kurgo Tru-Fit SmartHarness that is usually sold separately but also works well for any kind of harness. All you need to do is to hook a carabineer to a strap even as you attach a harness to the hook of the leash. With the Kurgo Skybox, you can have your dog next to you as you drive without having to worry that she will climb on your laps. You will also love the way it is easy to set it up and even bring down after use. The dog harness is also very sturdy. This is despite the fact it is usually light due to the metal support that offers it the right structural integrity. Even though it doesn’t add to the safety of your dog, you will definitely fall in love with the color combination of brown and orange. If you love traveling with your small dog, this is a must-have car booster seat. The Solvit Pet Booster Seats is another fantastic dog car seat which comes in a dimension of 8 by 14 by 10 inches. Not only is its structure sound but it provides a safe environment for dogs. It also has a sturdy and attractive fabrication. It works perfectly and allows your dog to see the environment around it without having to stand on seats. It is also adjustable so that you can lower or raise it higher depending on the dog's preference. A basket that is made of a plasticky-canvas and has a rectangular spa. It is available in dimensions of a length of 10 feet by a width of 20 feet and height of 14.5 feet. The basket has a brown color with that shiny plastic-like look. A fuzzy and white basket liner. On the liner’s top edge, there is a Velcro whose aim is to hold that liner in place and the right holes for accommodating straps. A top strap that goes around the car’s headrest. The product’s basic idea is to hang a basket at the front of the car seat with the main strap that goes around the back of your car’s seat. What we love most about the product is that has an overall build that is quite solid. It can be quite challenging to find a dog car seat that can accommodate dogs that are larger than average. This is because many manufacturers find it easier to design a compact seat as compared to the huge ones. This is despite the fact that there are many dog owners who are searching for such dog car seats. The good thing is that K & H Bucket Booster has taken up the challenge. The dog booster seat is available in 2 large sizes and is the perfect choice for dogs that measures between 30 and 40 pounds. This will depend on the physical shape of the dog. It is also worth noting that it can also be used for small dogs too. The price of the dog booster is a clear indication that this is a high-end product but we believe that this is a worthy investment. Not only is the seat well-made and sturdy but it can also be easily installed. It attaches perfectly to the seatbelts of your car, and you can be assured that this will not slide away. It also comes with 2 tethers instead of one to ensure that your dog has been secured perfectly in place. The fact that it has 2 tethers means that you can use this dog car Hammock to travel with several smaller dogs instead of one huge one. The pet car seat also comes with a removable cover, and you can easily wash the seat. This makes it a perfect and convenient option for dog owners. Pet owners agree that the dog seat is comfortable and roomy. It is also able to fit perfectly well in place, yet you can easily remove it at the right time. The only downside is that it is huge and may not leave much space in your car. Even though some pet advocates suggest that there are certain dangers of riding in the front seat, there are certain breeds of dogs that benefit much from being next to you. Closeness helps to minimize their anxiety as well as many other undesirable traits. If your dog behaves that way, a good idea would be to purchase the Luxury Pet Car Seat. While this is usually more expensive, it is often more expensive and comes with a micro-suede cover that is comfortable and removable. It has a plush lining that will have your dog enjoy those long car rides. The booster seat also has a security strap that is suitable for protecting a dog from the minor turns and jolts. Since different cars have different consoles, this type of car seat is not suitable for all vehicles. Before you buy, you will need to measure it to ensure that it fits snugly on the console. The car seat is washable, and this can be a relief for stains and pet accidents. The straps are adjustable and can be easily attached to the console to hold a seat in place. Many of its users suggest that not only is it easy to install but it also feels quite sturdy. Many dog owners who have bought this dog car seat say they find it comfortable, spacious and quite reassuring. Many pet owners also suggest that they don’t have a problem becoming used to the fluffy and soft seat. The dog car Hammock has been designed to fit into spaces that are quite snug and is, therefore, suitable for dogs that weigh 15- 20 pounds. Do you want a dog car seat that can also act as a carrier? The Pettom seat is just but the right option for that! It can hold a dog that is about 25 pounds and is, therefore, higher than many of them. It is the right choice for protecting a big part of the body of your dog. You can pull it over the shoulders if you want to carry the dog wherever you are going. Some people are not a fan of this seat’s design. This is mostly because; it can end up cutting the dog at the neck. Therefore, you should be careful when using it in dogs that tend to panicky as many dogs may not like the seat. Pet owners who have used this seat suggest that it feel like a diaper bag for dogs as it comes with pockets for carrying poops. It can also be cleaned easily and can be lightweight. This dog car seat can be used in all types of weather. During the cold temperatures, you can cover it with a blanket in order to use it safely. The seat is available in sizes that range from medium to large. The biggest seat is usually the size of the big duffle bags and can, therefore, end up taking the spaces of the whole back end of your car. However, our overall opinion is that this is an excellent choice for people who are always moving around with their dogs. If you are using these cars seats more regularly than you do with other seats, you will need to periodically check the seat for any signs of wear and tear.